We, from Campus Idiomático, organize unforgettable group travel programs to Spain for you. STUDY&TRAVEL PROGRAM (STUDY AND LEARN).Our classes usually take place in the morning and are aimed at groups with all levels of Spanish. 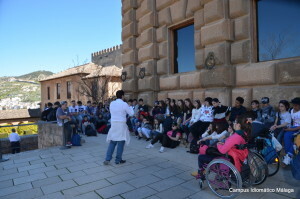 After classes and lunch in residence or in family, we organize very special excursions and cultural visits through Andalusia, with teachers trained in communication according to group level. LEARN&TRAVEL PROGRAM (TRAVEL AND LEARN). In the case of groups that do not wish to take Spanish classes, we offer the Learn & Travel program with Hispanic seminars on culture, society and history. WORK EXPERIENCE (INTERNSHIPS IN CAMPANIES). It consists of Spanish classes in the mornings for a week at school and then internships in companies in the sector of Hospitality and Tourism, senior centers, nurseries and others in Malaga. 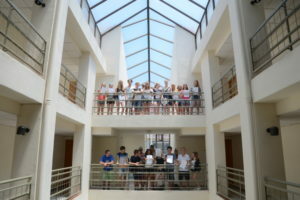 EXCHANGE PROGRAM (EXCHANGE OF SCHOOLS). It is an exclusive program and is at the request of the client. 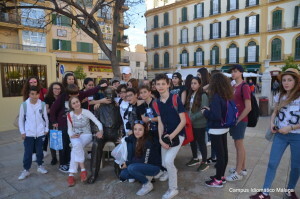 A group of young students travel to Spain and exchange classes with another group of young students from a school in Spain, suitable to their level, experiencing a real school life with host families. 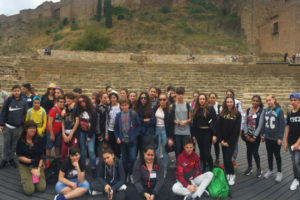 CULTURAL PROGRAM (FINAL TRIP OF STUDIES AND SPANISH CULTURE) Travel to Spain and immerse yourself in Spanish culture. Arrival in Madrid, Barcelona or Malaga and excursions in Andalusia or Northern Spain. 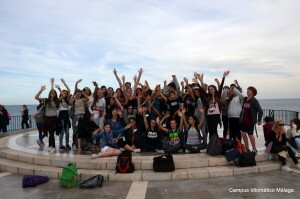 IMMERSION PROGRAM in Madrid, Barcelona and Malaga. 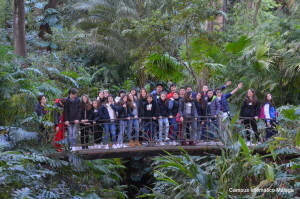 Students attend Spanish classes in the morning in a Spanish school at least one or two days in the week, live in host families with other Spanish students and participate in cultural activities and excursions in the afternoons with us. Our offers includes Spanish courses for all level, different activities after class, accommodations in host families or residencies and booking of direct flies for Málaga. You can design your own program regardless of your expectations; you’ll have to choose between 20 hours or 24 hours of courses for one week. Moreover, you can select the activities that suit you the most within our various range. The group travel consists in a 7 days trip, including the days of arrival and departure. The lodging in host families or residency can me in half-board or full-board. All of our host families are situated in the city center. The residency is 30 minutes away from our school by walking (we recommend this option for the big groups of at least 40 students). In this case, the classes will take place in the modern classrooms in the residency. If you want to know more about our activites, please click here. Have we awakened your curiosity? Would you like to receive a detailed offer? If so, please fill the following form and we will send you more information. For any question or request, our skilled team is at your disposal at any time. Feel free to contact us via our e-mail: info@campusidiomatico.com. We are looking foward to welcoming you in Màlaga!